Contrasting mix of bright cherry red and yellow flowers. 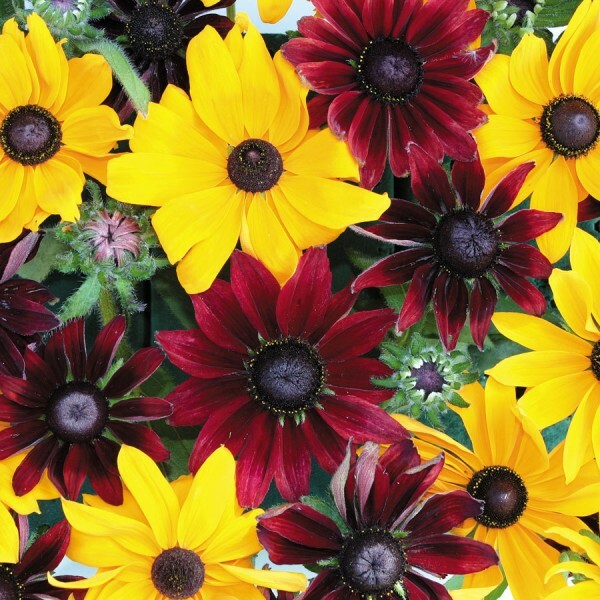 Can be used as a bedding or cut flower..Sow seeds from February to April in trays of moist seed sowing compost at a temperature of 20-25C (68-77F). Transplant seedlings when large enough to handle into 7.5-10cm (3-4in) pots. Harden off by growing on in cooler conditions for 10-15 days before planting out after all risk of frost, 30cm (12in) apart. Hardiness: Able to withstand very bitterly cold temperatures down to -39C or -40F. Cultivation methods: This plant prefers moist soil. Interest and use: Naturaliser, border Summer interest.